The foundation of many of the country’s ever-growing number of bike share systems has been Bixi, a Montreal company that supplied the equipment and software on which these programs rely. While the growth of the industry would seem to bode well for Bixi, in January the company—embroiled in lawsuits with the cities it supplied, on the hook for a $37 million loan from the city of Montreal, and wrapped up in a scandal for handing out bonuses to employees as the business came crashing down—filed for bankruptcy. Early indications suggest extant bike share programs should be able to emerge from this turmoil largely unscathed. Alta Bicycle Share, the company responsible for establishing and operating Bixi software and equipment, has issued a statement assuring that all programs under their purview will “continue to operate without interruption.” The establishment of new bike share systems or the expansion of existing ones could be impacted by the bankruptcy. Once slated to move into nearby College Park in Maryland, Washington D.C.’s Capital Bike has had to delay the initiative in the wake of an equipment deficit. The bike enthusiasts of Portland have been promised a program of their own since 2013, though 2015 appears an increasingly likely launch year as Alta searches for ways of filling their hardware and software vacancies. An extended campaign to establish a bike-share system has also been underway in Baltimore, one that appears will come to fruition this summer in the form of Charm City Bikes. While they too were relying on Bixi, the city had braced for the company’s impending collapse and was able to renegotiate with Alta and arrive at a new supplier with relative ease. New York–based Social Bike will now be providing Baltimore’s bikes at what the city says is a third of Bixi’s price. 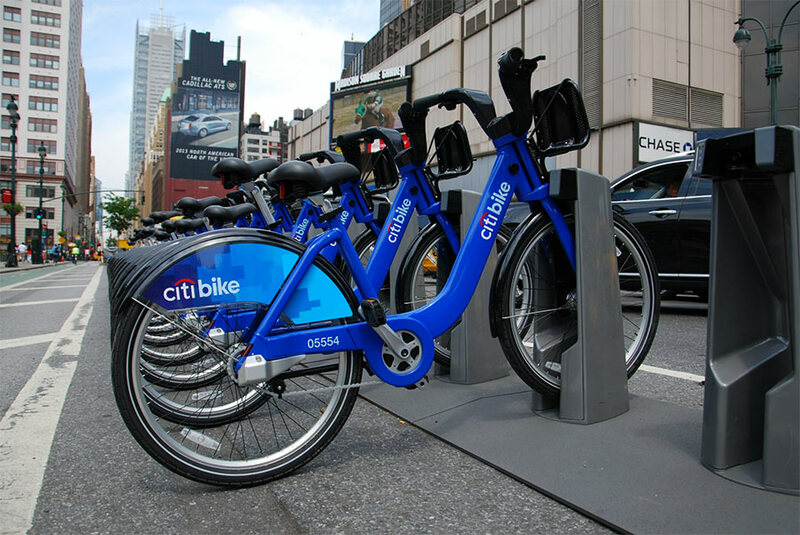 None of these programs operate on quite the scale of Citi Bike, the bike share launched in New York City in May 2013 after its own series of delays. Privately funded and massively popular, the program has faced challenges in translating this success into economic viability. Citi Bike is in the midst of scrambling for millions of dollars and is trying to entice riders to purchase daily passes, which come at a premium price and thus are a far greater potential source of revenue than the annual passes, which come at bargain rates. Just as Citi Bike fights to maintain the land it has already staked out, calls for expansion beyond its existing Manhattan and Brooklyn borders are growing louder. Advocates like Paul Steely White of the New York advocacy group Transportation Alternatives point to an “acute demand for bike share programs in areas traditionally underserved by public transportation” that is partially motivated by increased intra-borough movement. Behind the Curb, a recent study conducted by the Center for Urban Future, indicates that New Yorkers are living and working in the same boroughs with greater frequency. The Department of Transportation has remained coy on the matter, though Citi Bike’s money woes do not bode well for such an undertaking, regardless of the demand. It remains to be seen what influence Bixi’s difficulties will have on the issue.